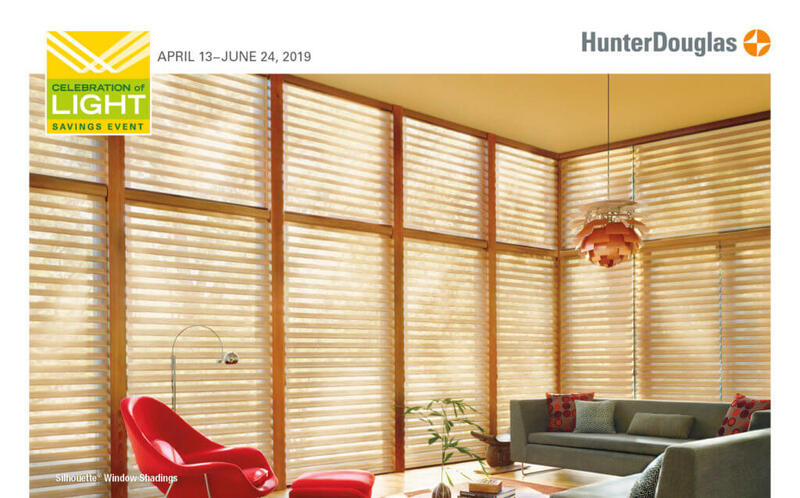 Our innovative light-diffusing window fashions turn harsh rays into a soft glow. Enjoy this perfect light and save with valuable rebates! Rebates start at $100* on qualifying purchases. *Manufacturer’s mail-in rebate offer valid for qualifying purchases made 4/13/19 –6/24/19 from participating dealers in the U.S. only. Rebate will be issued in the form of a prepaid reward card and mailed within 4 weeks of rebate claim approval. Funds do not expire. Subject to applicable law, a $2.00 monthly fee will be assessed against card balance 6 months after card issuance and each month thereafter. See complete terms distributed with reward card. Additional limitations may apply. Ask participating dealer for details and rebate form. Posted in Celebration of Light.